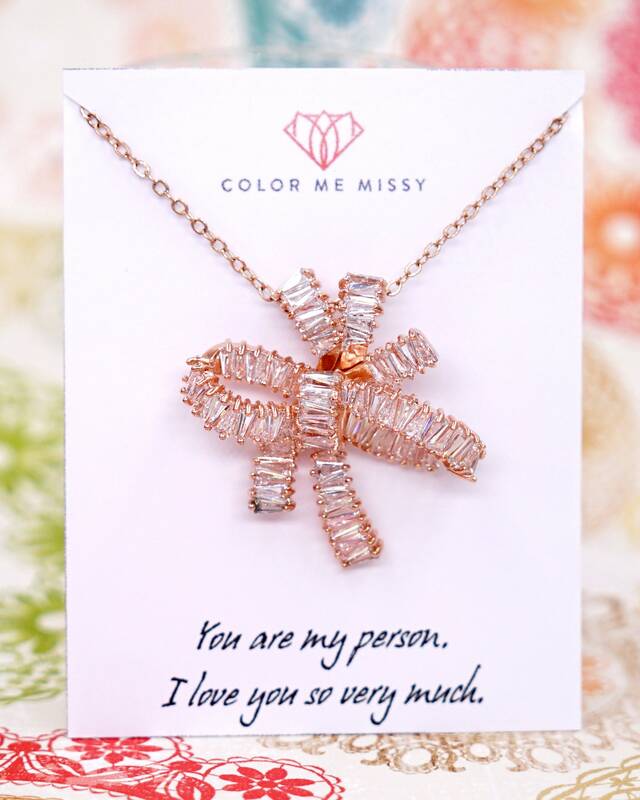 Rose gold bow knot made with baguette cubic zirconia. 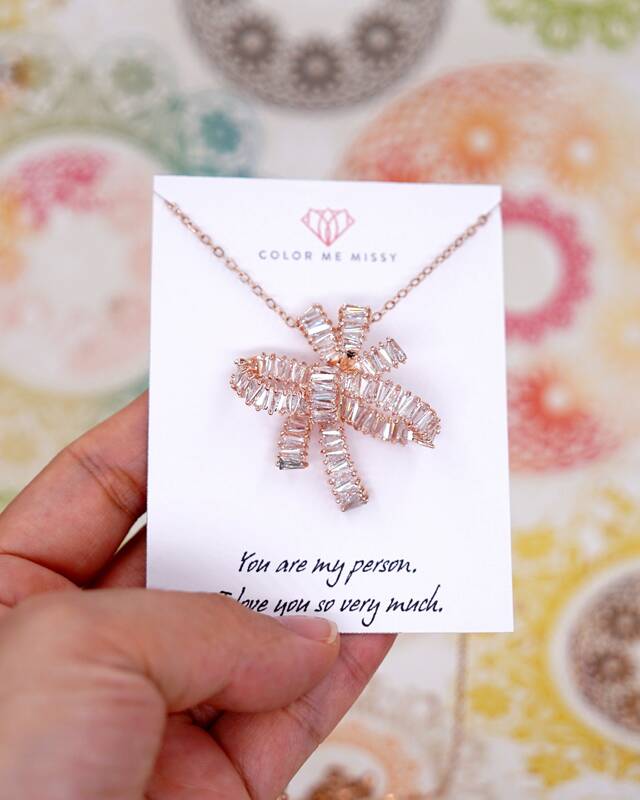 Come on Rose Gold FILLED chain. ✦ Length: Please choose from length option.